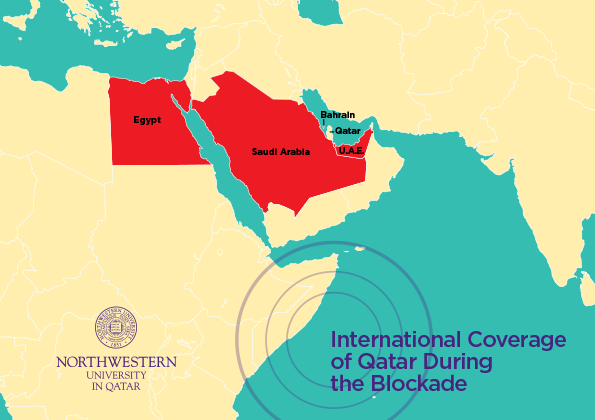 To better understand the nature of the international news coverage of Qatar during the ongoing diplomatic crisis in the Gulf, Northwestern University in Qatar commissioned a media monitoring firm, Meltwater, to collect data on coverage of Qatar during the period between May 21 and September 25, 2017. Areas covered: The study analyzed articles from 20 of the largest English-language publications (by digital reach) based in three leading markets for English-language publishers: the United States, United Kingdom, and United Arab Emirates. A list of the news publications can be found at the end of this report.